This is the fearless Maximus a character from a well-known movie. 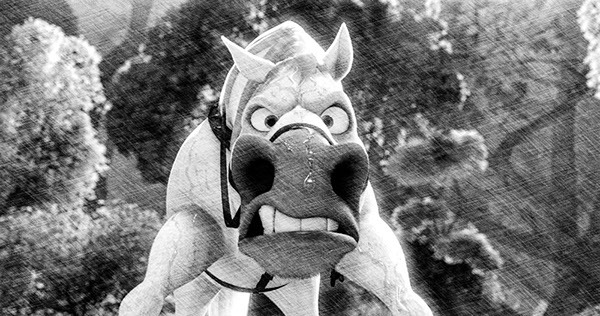 He is a trained guard horse who leads in the pursuit of Flynn Rider. However, he's willing to agree to a ceasefire for a day for Rapunzel's birthday. He has a soft spot for apples.